Before we talk about the look of your Easter wedding cake, let’s think about flavours. 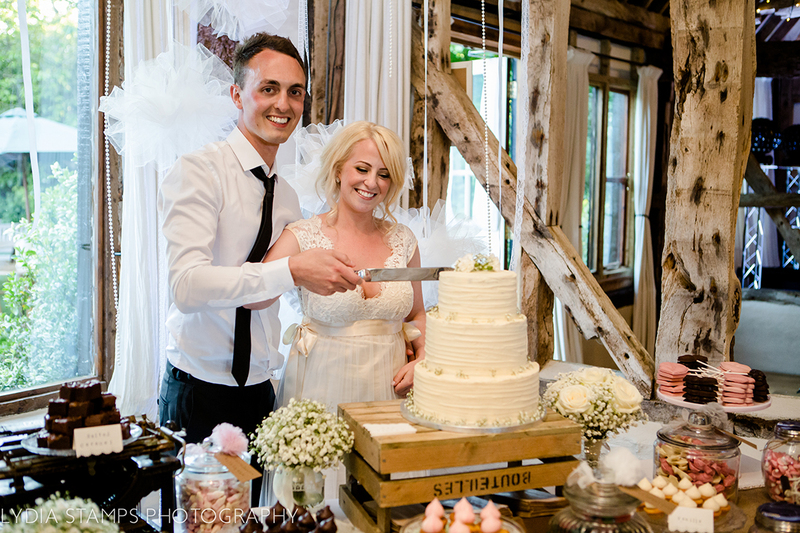 If you’re opting for a tiered cake, why not choose a different flavour for each layer? Chocolate cake is always popular and perfect for Easter but we also love fresh zesty lemon layers, classic vanilla sponge or more exotic flavours. Always speak to your cakemaker and ask for samples if possible because you want your cake to taste as good as it looks! Pastels are perfect for Easter weddings and if you’ve chosen a soft colour palette, you can definitely work this into your wedding cake. 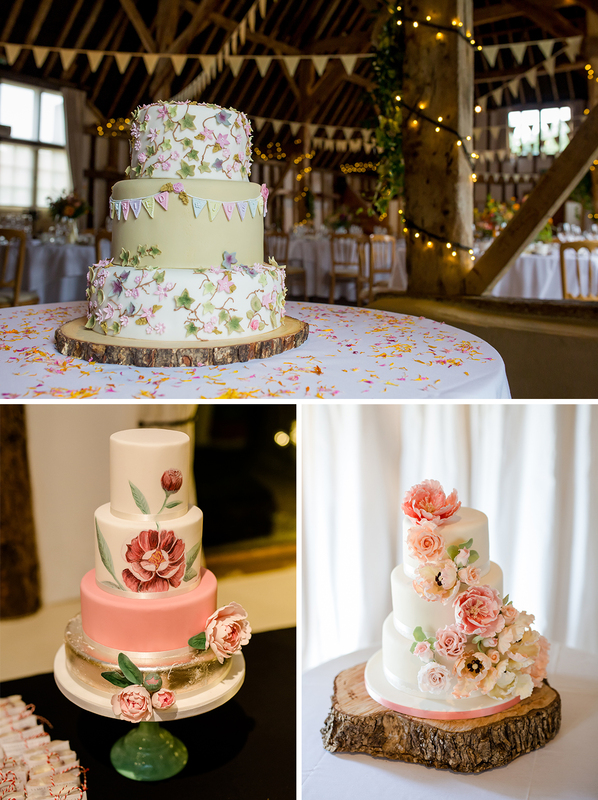 Layers iced in pretty soft shades look wonderful or you could embrace the trend for hand-painted, watercolour cakes. 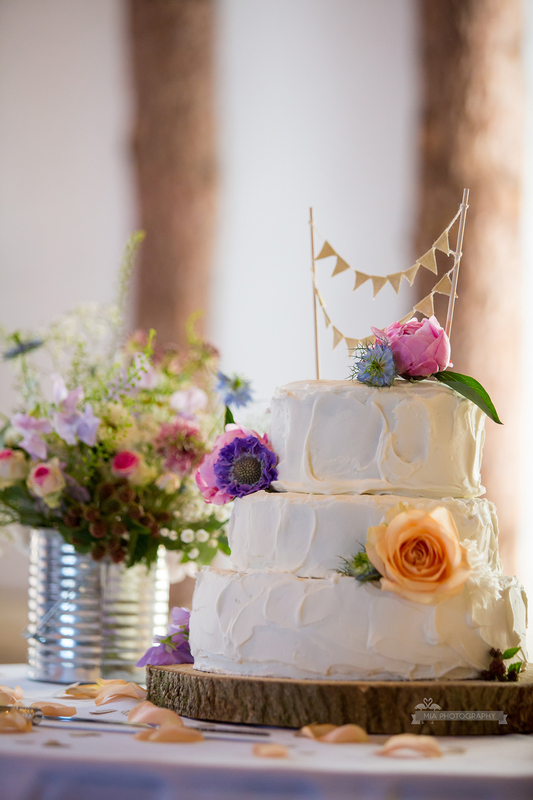 Naked cakes always have a really fresh appeal and you can decorate these with pastel sugarpaste flowers and a seasonal cake topper. For an elegant spring look, we adore cakes iced in buttercream that are then decorated with fresh flowers or fruit. One or two large statement blooms sat on the top layer are always beautiful or you could use lots of little edible flowers. This has a real ‘spring garden’ appeal. If you’d prefer something with a definite Easter feel then mini chocolate eggs are a must-have. Pile them on the top of the cake or cover the entire cake with them if you prefer. We’ve even seen ‘surprise’ cakes that are full of little chocolate eggs, which only appear when the cake is cut! Cake toppers are a fantastic way to add a little extra individuality to your Easter wedding cake. Mini bunting is a firm favourite as are personalised calligraphy toppers. For Easter, bunny, chick or bird toppers are also ideal and you can find these in every style. 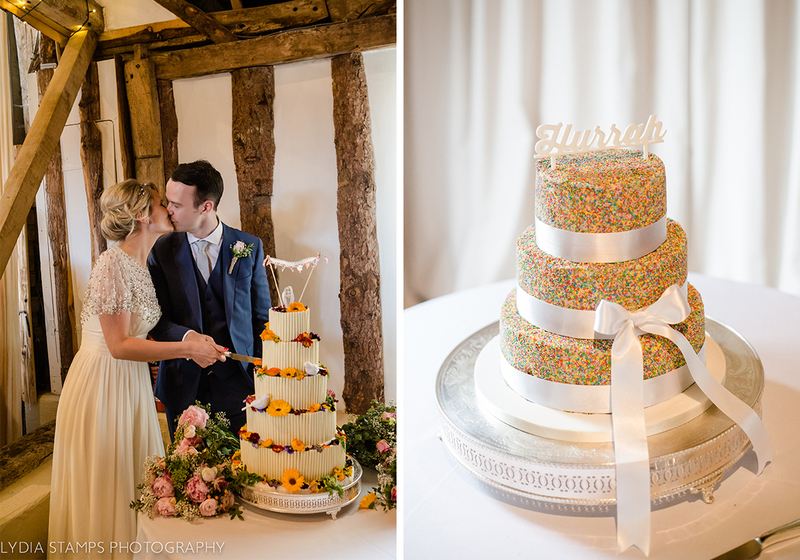 If a traditional style cake doesn’t appeal then there are plenty of options for you too. 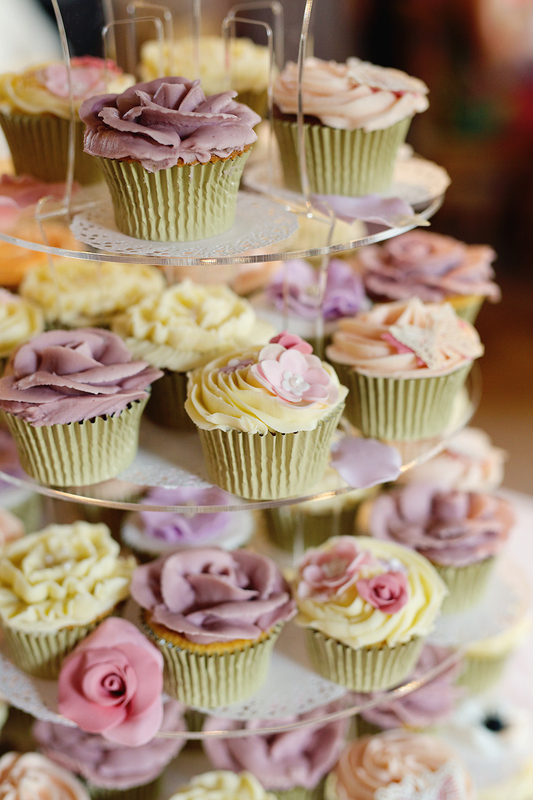 Cupcakes iced in gorgeous colours and decorated with flowers or little chocolate eggs will definitely make guests smile. You could also opt for seasonal mini Simnel cakes or even that old childhood favourite – chocolate nest cakes full with little Easter eggs! Individual cakes like these are fab to serve to guests or they can double up as takeaway favours at the end of the night. Of course, if you really can’t decide, why not create an Easter dessert table? Cakes, macarons, biscuits, cookies and other sweet treats, all laid out for your guests to choose their favourites. Doesn’t that sound yummy? If you need any help or inspiration our in house wedding caterers are on hand to help you create your visions. 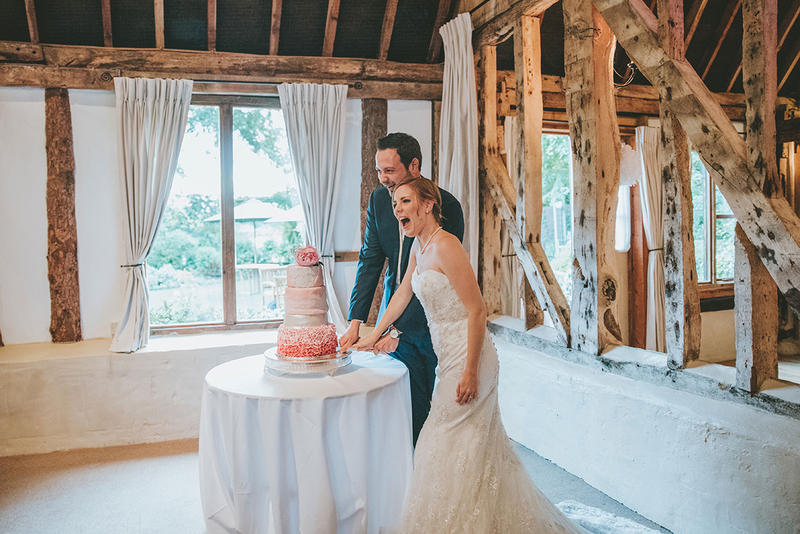 If you’d like to visit us to talk about cake, food or any aspect of your wedding, we’d love to welcome you to our beautiful wedding venue in Hampshire, Clock Barn soon. Do get in touch via 01256 630199 or clockbarn@wedding-venues.co.uk to book a show round.